I am a strong supporter of everything local–I will do whatever possible to make sure most of my ingredients are locally grown. With this said, once in a while I like to see what other people are doing with their local produce and ingredients. 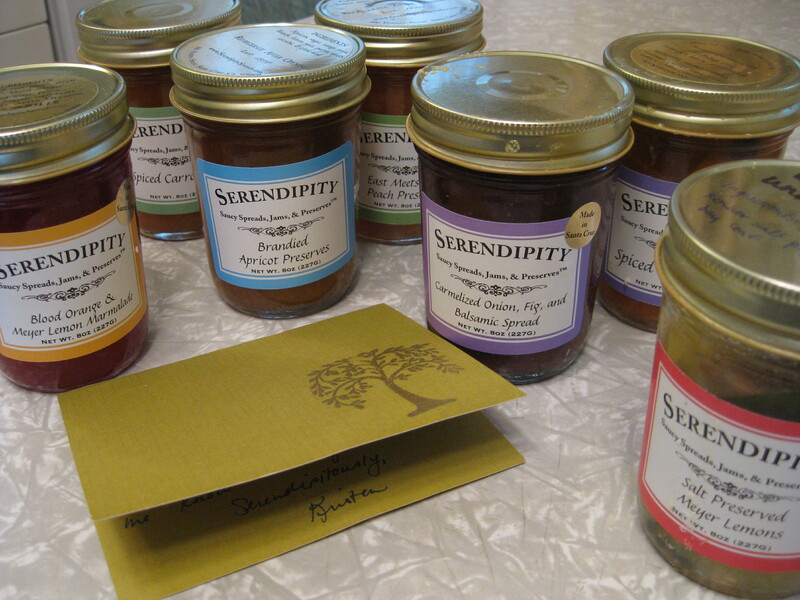 My friends from Serendipity Spreads in Santa Cruz, CA are a great example. 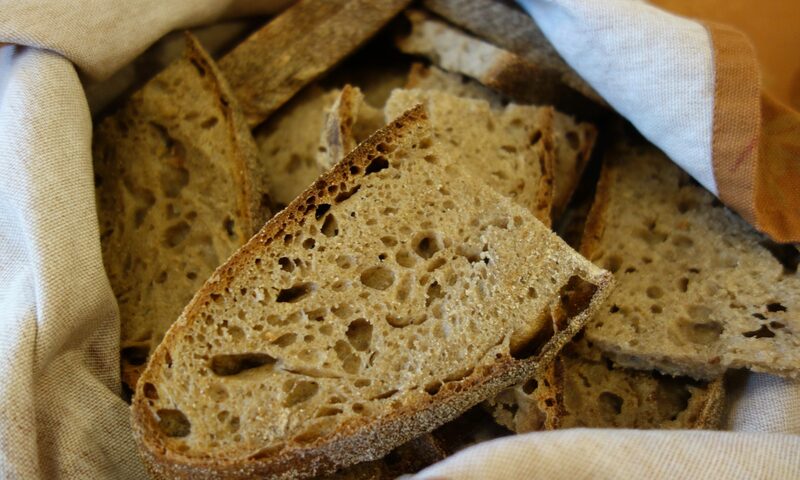 Family tradition, many years of experience and only the best ingredients are the components to these great products. Kristen Cederquist sent me a sample of a few of their great offerings. Brandied Apricot Preserves; Spiced Tangerines; Spiced Carrot Jam; Blood Orange and Meyer Lemon Marmalade; Caramelized Onion, Fig, and Balsamic Spread; East Meets West Peach Preserves; and Salt Preserved Meyer Lemons. All of them look great and taste even better. These would make an excellent gift for any foodie. I had so many options here that I didn’t know where to begin, so I went with the Spiced Tangerines. 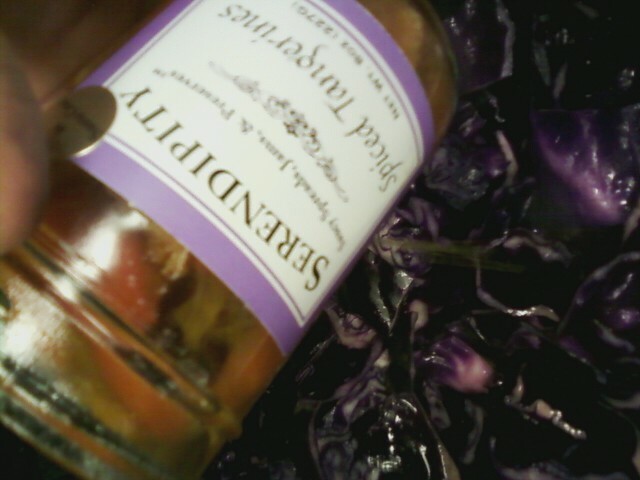 I was using red cabbage for one of my side dishes that night and I decided to finish it off with the Spiced Tangerines. Something so simple elevated this side dish to another dimension–my Pennsylvania red cabbages were touched by sunny California Spiced Tangerines and together they were delicious. Daniel, you need to fix the link. 🙂 Great site though, I’m going to order a few tonight.